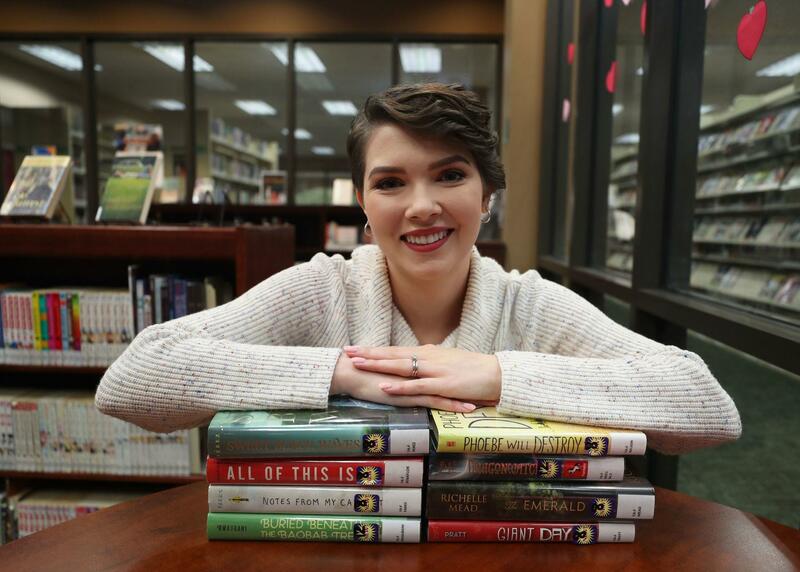 Here you can find our teen collections, reading list suggestions, programs, homework help, resources, and information about college and career. Helen Hall Library's mission "is to provide free access to information and fuel for imagination in an age defined by the unprecedented importance of both." In keeping with this mission, we value and provide teens with their own space and programming so that they have the freedom to express themselves safely. Patrons may have their library cards updated to teen, or "Young Adult," status when they are 11-years-old or when the legal guardian in charge of the account informs the Circulation Department at the front desk that he/she would like the library card status to be changed. Teen library cards are allowed to check out all available library materials except DVDs with an R-rating. For more information about library cards, please review our Circulation Policy located in our Getting Started LibGuide. Want to read a book, use a computer, or just hang out? Then the Teen Room is the place for you! It's located upstairs, to the left, and has glass walls so you won't miss it. It's for ages 11-18 only, so no grown-ups and kids are allowed unless they are browsing the collection. 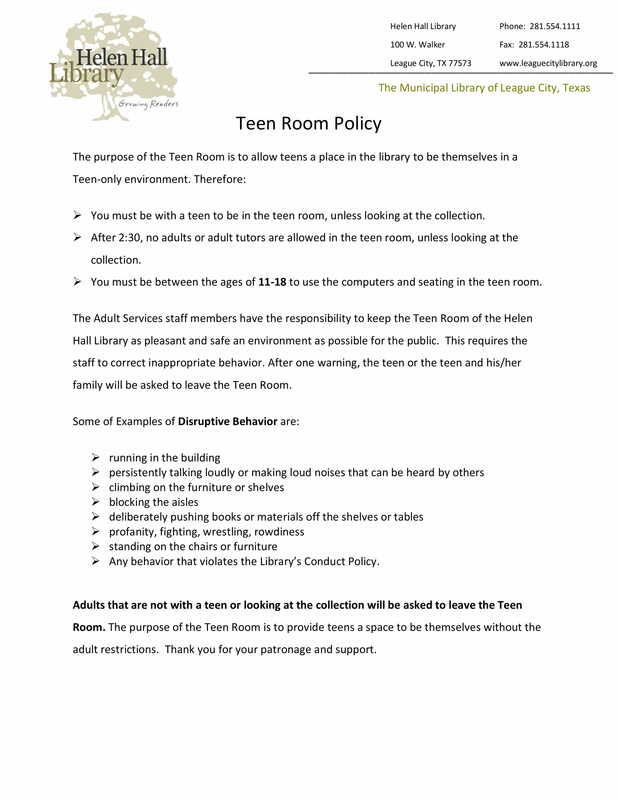 For more information, you can view our Teen Room Policy. Don't forget to follow us on social media to find out about events, updates, and more!